Project Spending Plan Checklist is created to support executives who are in charge of the project budget and cost management. With a help of this checklist you can learn how the project spending can be kept reasonable and suitable to initial plans. Designate the whole period during which you are going to spend project money. List everything you need to supply to the process in order to complete essential activities. Associate your tasks with their positions on the project’s baseline schedule. These periods can coincide with essential project phases. Estimate costs of buying raw materials to be delivered into working process. Estimate every task in terms of associated overhead expenses (such as energy). Estimate how much you will need to pay out to workers that implement planned tasks. It could include rent of equipment and premises, services of consultants and contractors, etc. 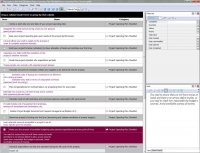 Learn planned amounts accessible to project’s use at every specific point of schedule. You need to ensure that you will have money at hands and there is no serious deficit in plan, so you need to check how reasonable the budget is sourced. Avoid unreliable sources of income. 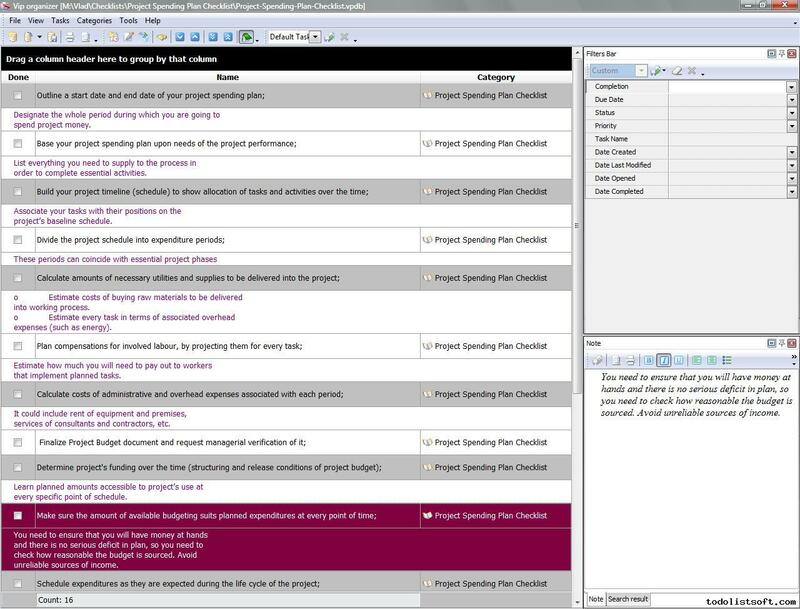 Build a schedule of spending, where it is shown how the budget will be spent during the project. Summarize spending by categories to analyze allocation of project costs. A budget worksheet is a simplest tool for projecting expenditures, recording actual values, and comparing them to derive the difference between planned and actual costs. Accurately control how the costs are accumulated, anticipate tendencies and adjust future costs to balance the budget and avoid overrun (or request additional funding to cover deficit).